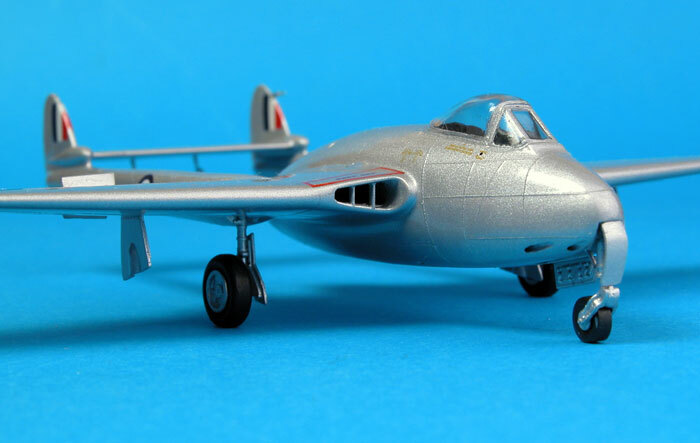 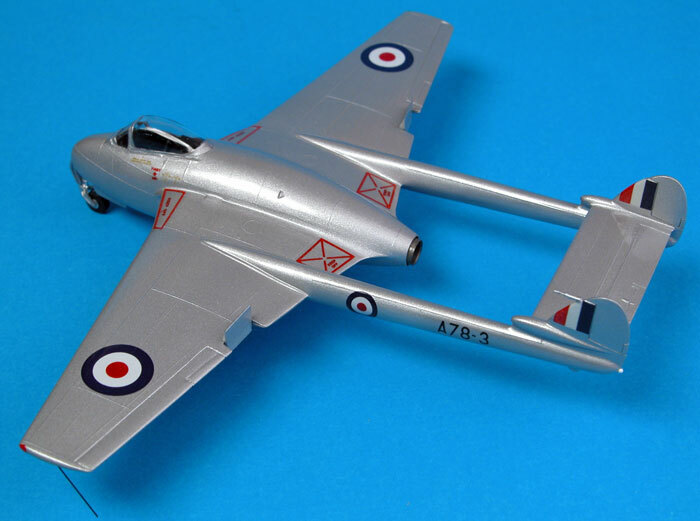 Here is the old Heller / Airfix DeHavilland Vampire FB.5 kit built to represent A78-3 of the Aircraft Research and Development Unit RAAF in 1949. 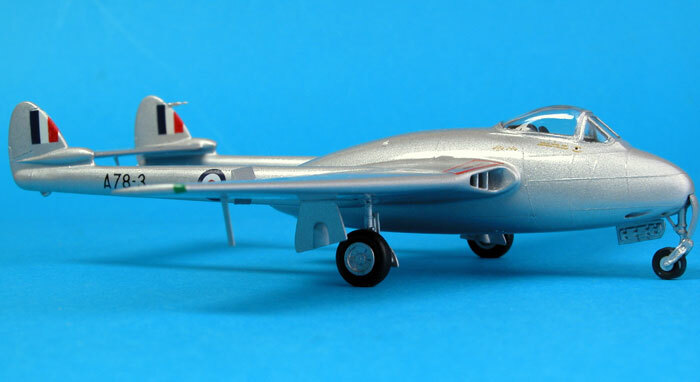 The model is finished in Model Master Aluminium enamel with some Airfix and other decals - mainly Aussie Decals - used. 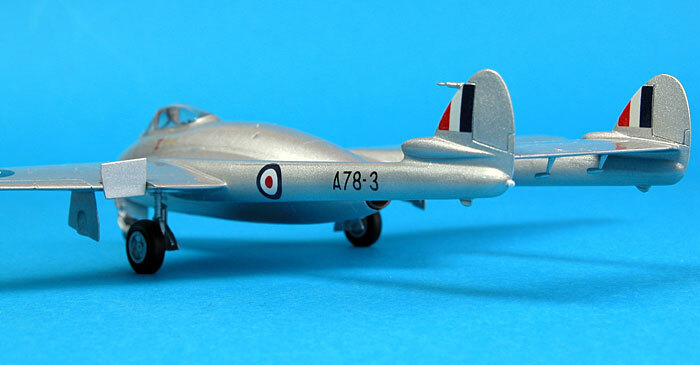 A top coat of Tamiya clear enamel finished the job. 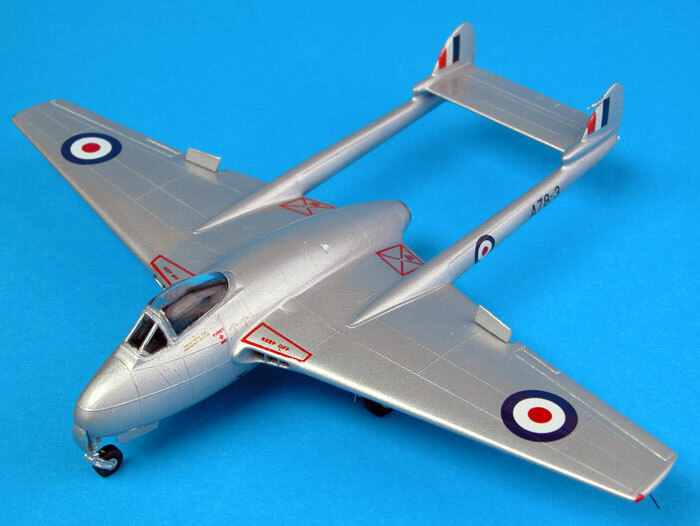 This model was photographed at the NSW Scale Model Expo in May 2004 at Koonawarra south of Wollongong.